Guided Tour "Palaces and Factories"December 13, 2018, 5:30 p.m.
German language guided tour with Katrin Bäumler, curator of the exhibition "Palaces and Factories. 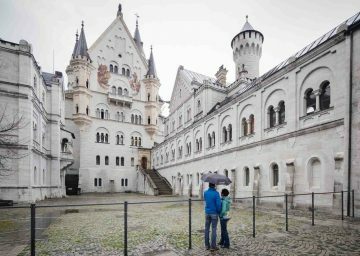 The Architecture under King Ludwig II." Thursday, December 13, 2018, 5:30 p.m. The tour starts at the information desk in the rotunda of the Pinakothek der Moderne. Participation is free of charge. A ticket for the exhibition is required. No reservation necessary. Limited number of particitants. You can get a ticket half an hour before the start of the tour at the information desk.